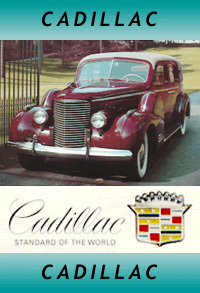 We stock many service and restoration parts for Cadillacs, including Fleetwood, DeVille, Brougham, as well as the Eldorado. The Eldorado was the first FWD from 1967 and from 1970-76, had the 500ci (8.2L) with 550 ft lbs of torque, resulting in the largest production passenger engine in the world. Until recently, 1976 saw the last production convertible in America. We also stock a limited range of parts for pre-1960 models.